Last weekend, my sister and her two daughters were staying with my Mum and Dad so we needed a day out that was suitable for everyone from 12 to 80+. 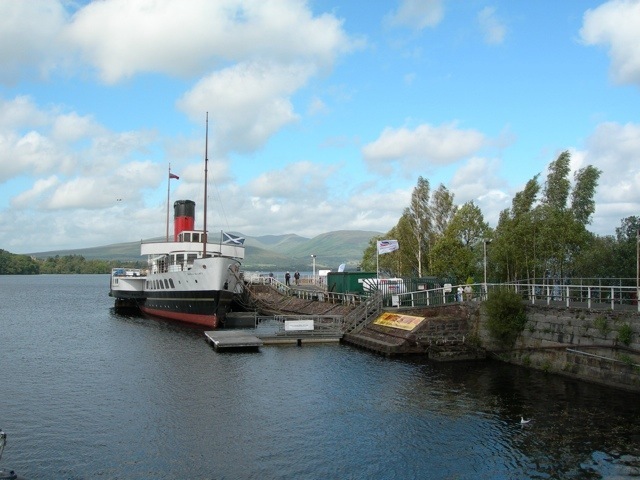 Loch Lomond lends itself to visits at all sorts of activity levels. Loch Lomond Shores, gateway to the National Park, while not being terribly exciting is a pleasant place to wander around and we ended up spending most of the time there. The shopping mall, including a branch of Jenners, is attractive and there are several places to eat. We had coffee in Jenners and lunch in the Kilted Skirlie on a balcony overlooking the Loch with lovely views of Ben Lomond. I even got sunburnt, which wasn’t part of the plan and quite a surprise given the usual Scottish weather. The hope is to get her operational again by 2013, but she’s been under restoration for years so I don’t know how feasible that is. In the meantime, she can be hired for parties. 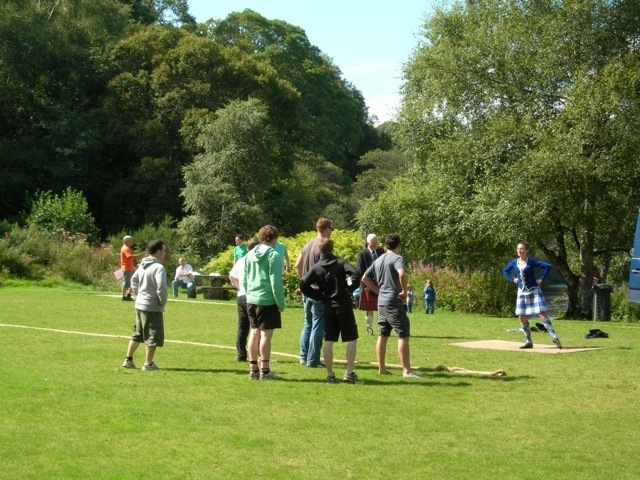 At the other end of the site, we came across a group of young men learning Scottish country dancing and caber tossing – maybe a stag party or team building group. 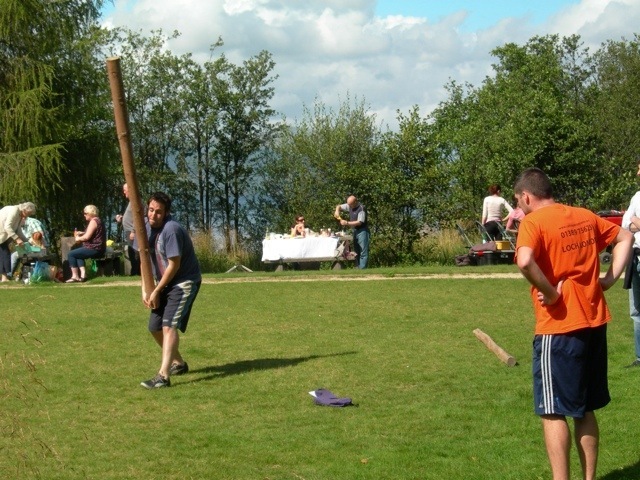 I’m not sure if they were meant to provide entertainment for the masses but that’s exactly what they were doing! 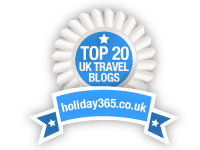 There is a Sea Life Centre there too, but we decided we didn’t have time for that and moved on to Luss, a very pretty little village where the Scottish soap Take the High Road used to be filmed. 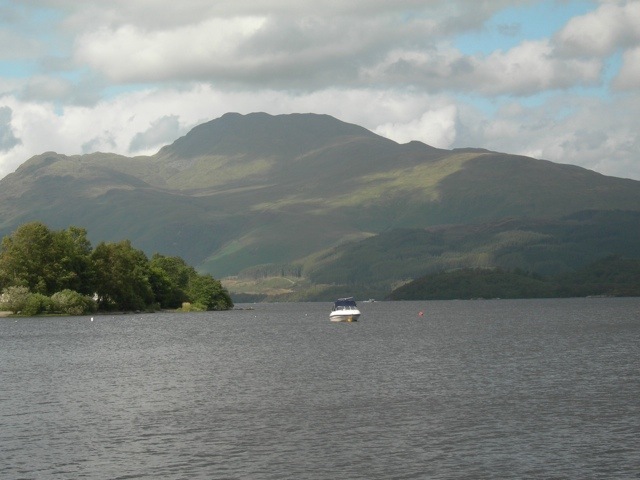 The view of Ben Lomond from the pier is even more beautiful than the one from Loch Lomond Shores. So if you are energetic, you will want to climb the Ben, and there’s also a very nice horseshoe walk in the hills behind Luss (Beinn Dubh – Glen Striddle), but if you can’t do that you can still while away a few pleasant hours just looking at the mountains from below.